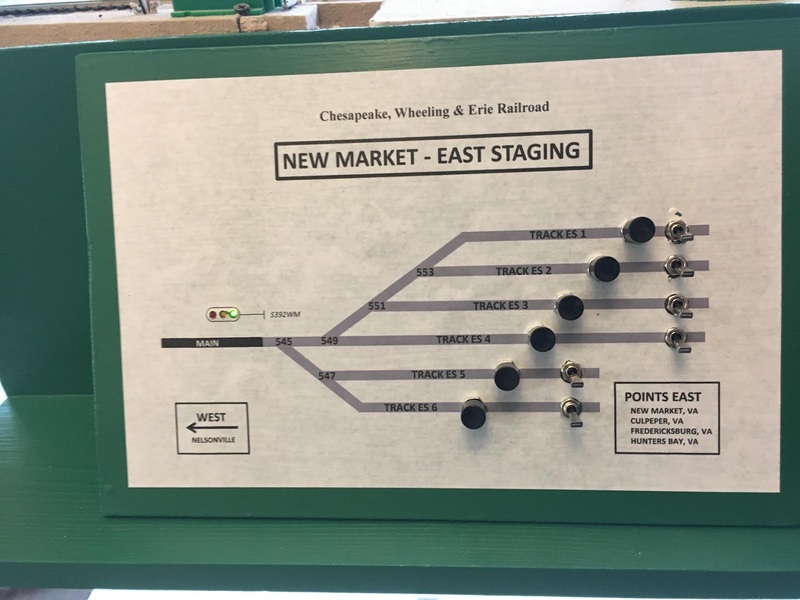 The panel for the east staging yard has finally been replaced. The old panel was thrown together when I first started holding operating sessions and it has always confused the crews. In fact, the east staging yard was controlled by two separate panels which really made things interesting. And for whatever reason, I never thought to provide some type of instructions at the panels. No wonder everyone was confused! The new panel utilizes pushbuttons for turnout routing using Gerry Alber's Signal By Spreadsheet products. Note the westbound repeater signal on the panel. 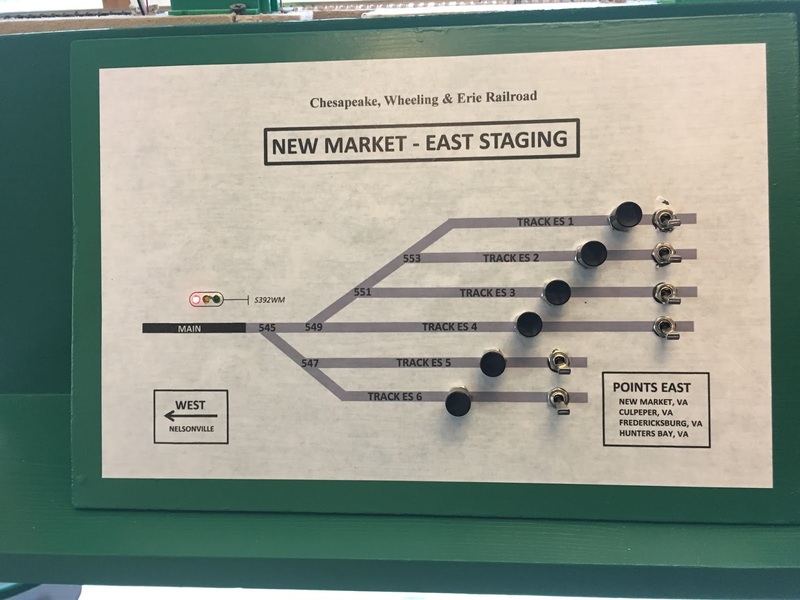 Now that CTC is in place from East Staging to Cedar Falls Junction, the dispatcher will be able to route trains through Nelsonville and beyond. 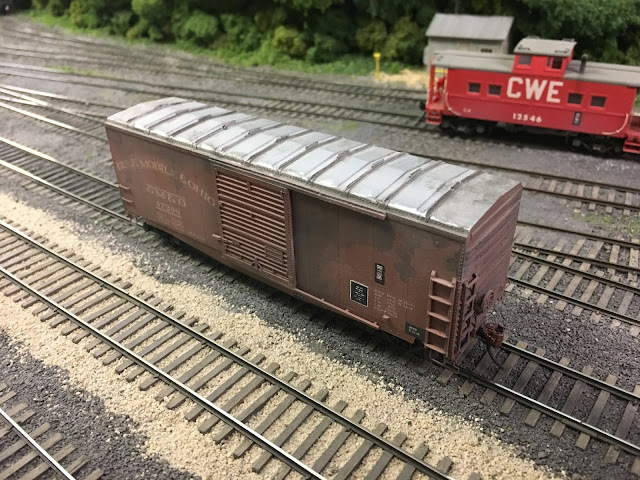 The yard limits from East Staging to just west of BA Cabin have been eliminated and the Nelsonville Yardmaster will now need to contact the dispatcher in order to "open up" and access the main. The shot below of the dispatcher's panel shows the route lined through Nelsonville. And the next shot shows the green indication on the East Staging panel. The new instructions inform the crews to turn on the power to the appropriate staging track, acquire their locomotive, and then call the dispatcher for clearance west. 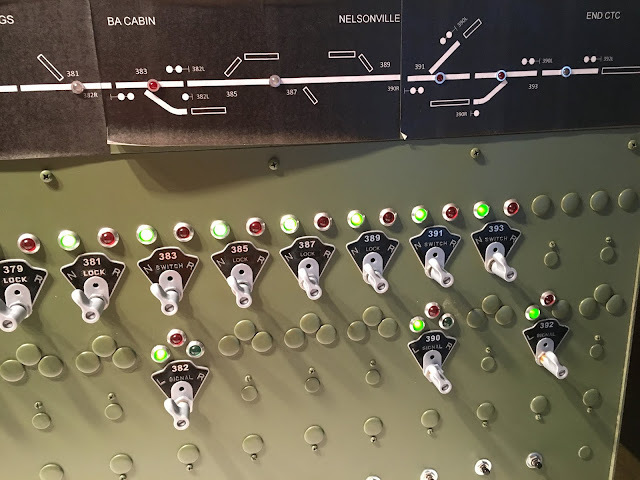 The crews can depart when given either a green or yellow board on the panel. 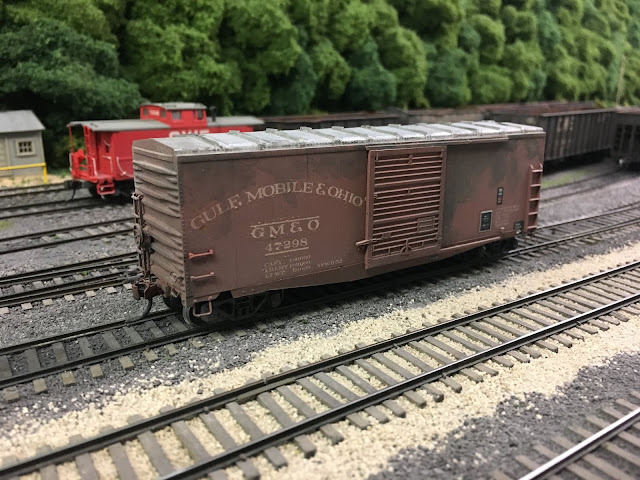 The issue with the track model board on the dispatcher's panel has been resolved, too. As I couldn't find any software that I could use, I drew it up to scale using my old drafting equipment. 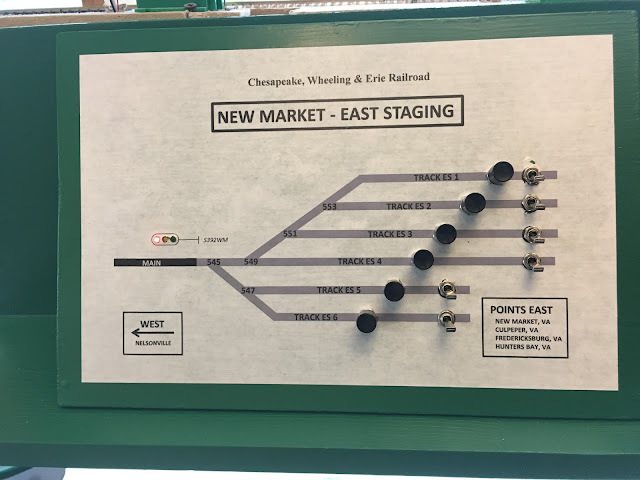 I laid out all of the signals, place names and turnout and lock numbers in PowerPoint and then glued them to the drawing. The end product was dropped off at the engraver's yesterday and it should be ready in about a week. It will certainly be an improvement over the Avery labels that won't stay on!